I like the current way. Orange is so close to red that, at a glance, components could be misconstrued to be in an error state when in fact their current state was nominal. Because orange is so close to red, the frequent use of orange made it harder for users to pick out actual error states in the UI. Orange attracts the eye to wherever it is used, but frequently these elements didn’t warrant such a high level of visibility. Around the same time as these issues were identified, we were also working on the design of focus states for keyboard navigation. A focus state needs to be instantly visible so that a user can effortlessly see which item is focused without having to pause, look harder, and think. After exploring a wide range of different concepts, we settled on using an orange frame as our keyboard navigation focus state. However the use of this frame only worked if orange in all other areas was significantly toned down. 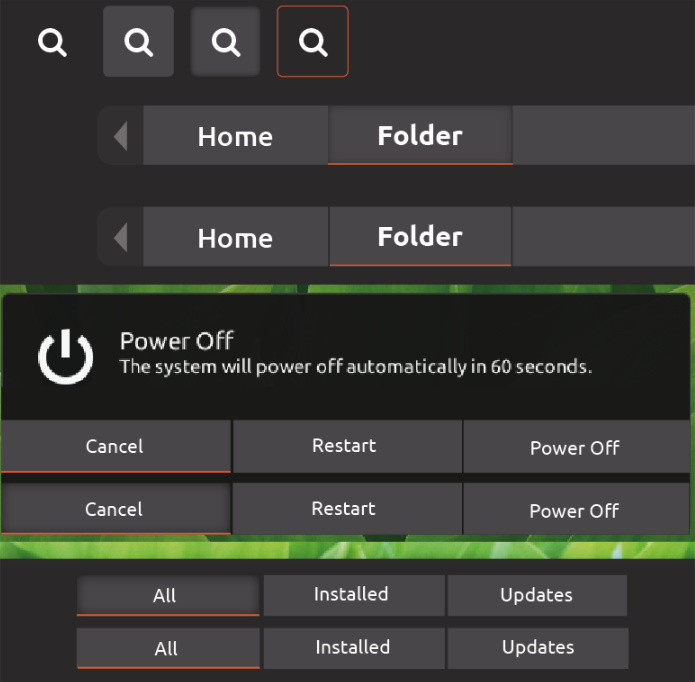 In order to fix the UX issues with the overuse of orange and to enable the use of an orange frame as our keyboard navigation focus state, the decision was made to be much more selective as to where and when orange should be applied. The use of orange should now be limited to a single hero item per surface in addition to its use as our keyboard focus state. It’s important for UX that keyboard navigation focus state “pops” because it can jump all over the place when you for example press tab. This also provides an explanation for how nautilus looks: The “hero item” in Nautilus is the selected item in the left sidebar. You can argue that the folder in the pathbar is the same item, so it also deserves to be orange. The hero item in tweaks for example is the current category you’re on. I fully agree! 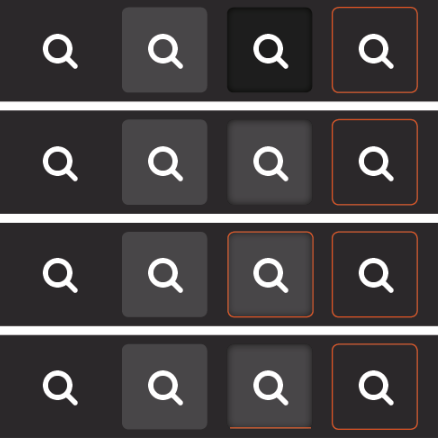 I also think that we should use dark(er) for buttons. It might seem like a controversial post, but I was merely pointing out the inconsistencys. This also provides an explanation for how nautilus looks: The “hero item” in Nautilus is the selected item in the left sidebar. A quibble: The next section of that article describes blue as “the Ubuntu selected state colour”, as distinct from orange. I don’t know what “hero item” actually meant in that context, but it suggests that a selected item wasn’t one. I actually really like blue as the general “selection” color. I liked it on Ubuntu Phone and in Adwaita. However, I’m unsure what the current stance on it is, since it has changed a bit in the past few weeks and I’m not following the design discussions too closely. I also like the “new” blue from the latest color scheme; it feels warm and “homely”. 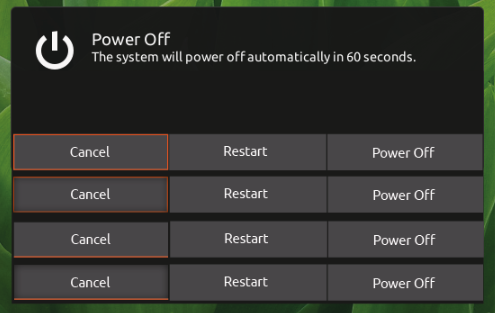 since the button design is not consistent and has problems on the dark back, I stepped back again and overlooked some design and stuff we need to adopt (because of Gnome and so on). This is an overview of possible designs, after choosing what we like and what’s working I can work on defined mockups with the chosen design. I also could not try all sorts of designs. Simply combine! The four states are flat, hover, clicked and focused (like when hitting tab). The first row is like it is now, the dark is hardly visible. So the second row has the same color for hover and clicked, with an inner-shadow to make it look clicked. Row 3 and 4 are also with an orange border for feedback. We should consider this as a working and visual better solution. Also, the jump from white hover to dark clicked is less consistent. Like always, breadcrumbs say hello. The actual design is like also mads said not working (but was worth a shot!). Like the connected buttons, they should be connected somehow and they should have a similar look. Like the address bar in a browser, I don’t mind if it is not completely flat - they have a certain meaning and task and IS an address bar in a way. And with the white clicked button design from above it’s more consistent. 2: Like 1 but the clicked buttons also get’s an inner-shadow like on the other buttons. 3: Like 2, but only bottom line for focus and maybe little thinner like it is now because of the double feedback. 4: Only the clicked buttons feedback with the inner-shadow. 5: Flat with bottom border only, but then they need a separation between. 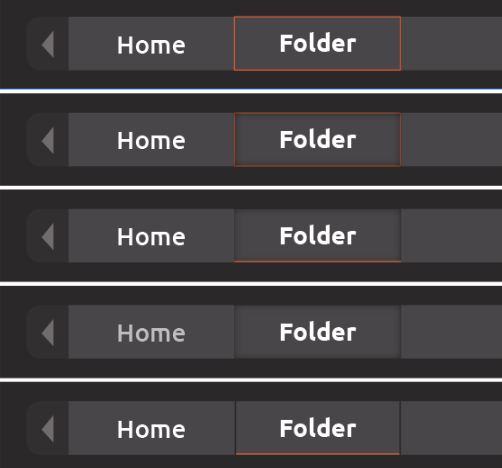 I don’t have time for perfect mockups (like squircle and colors, visual them in your mind^^) but this way around we’re adapting the Gnome style buttons and combining them with a better visuality like we have it now and the orange focus border(s) we use. And this brings more consistency and better usability thru the system (on dark back). The buttons on white are still very different, but that’s also part of the deal when having a dark background. I tried also the inner-shadow effect, but this is a thing to try, mockups are not enough to see if it’s working. The orange color is also just a focus color - people will get used to it when using. And yes, it is also a little compromise - maybe there is another consistent and working way. But to be consistend we need to make compromises here and there. Maybe it’s working in the live system too. Overall - do you think this is a good way for you all? Inner-shadow in connected buttons - or flat with a border only? Let’s try to speed things up a bit to get faster decisions. Would you suggest another Hangout session? Flat button design: I like 2 and 3. The second option might be less visible in some screens though. Summing it up, for squared items I prefer borders, while I prefer the bottom border only in rectangular shapes. flat button: 1 since the design of 3 doesn’t have a way to show “selected” status of a pressed-in button. breadcrumbs: 3, although I would prefer the pressed in state to be the same color as flat button 1. Since a pressed in flat button and breadcrumb is in the same z-axis, they should have the same color shade imo. I’m out for today, hope we’ll get all feedbacks until tomorrow. The colors are subtiles and working well IMHO and the line shape brings consistency. However, I wonder how that will work for application buttons: we will have a square around focused buttons, which will be different in the Shell, like the Power Off dialog, any thoughts on this? Can you give me a quick example/screenshot - not sure if I understand exactly what you mean. Are we limited to a certain design on some buttons? Can you give me a quick example/screenshot - not sure if I understand right what exactly you mean. Are we limited to a certain design on some buttons? I’m just talking about any GTK Button in any application for instance. The well-known paradigm for having focus (via keyboard navigation, tab tab…) is normally to have a selection border (orange in our case, blue for upstream). Note that it’s the same for textbox and other widgets. Having some buttons focus (like the Shell ones) representing differently may look inconsistent? I like the bar and dock in window mode (color and opacity, also the inner shadow is better, too strong on the top), only I still miss the shadow for the whole bar - this looks a little weird because the dock receives a shadow from the top bar. The main problem is the max-window state - because the top bar is melting together with the headerbard and this has no meaning but visual confusing. Shadow for separation, the bar and dock are still quite the same opacity like in window mode - maybe a little less for an opacity for a fancy transition effect. This design is also less heavy then the actual. Like #3 but now shadows, only black separation lines (too thin on the mockup).